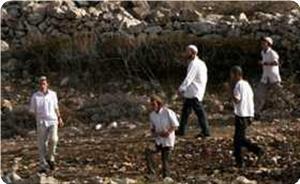 Israeli settlers on Tuesday uprooted 53 olive trees in Kafr Laqif village west of Qalqiliya, officials said. Ghassan Douglas, a Palestinian Authority official who monitors settlement activities in the northern West Bank, said that a number of Israeli settlers from the Karni Shomron settlement uprooted around 53 olive trees belonging to Suleiman Jaber. In a separate incident, Israeli settlers from the Yitzhar settlement assaulted and beat a Palestinian man, Mohammad al-Zein, from Burin village south of Nablus. At the time of the attack, al-Zein was cultivating his land. He suffered from various wounds as a result of the assault. Israeli settler attacks on Palestinians increase markedly during the annual olive harvest, when settlers frequently attempt to prevent Palestinians from reaching their land. 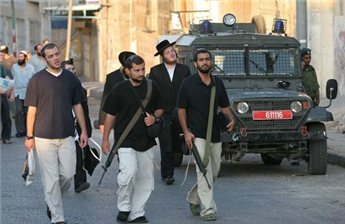 The Israeli military often protects Israeli settlers who target Palestinians. Additionally, Israeli forces also target those Palestinians who respond to settler attacks. More than 500,000 Israeli settlers live in settlements across the West Bank and East Jerusalem, in contravention of international law. The internationally recognized Palestinian territories of which the West Bank and East Jerusalem form a part have been occupied by the Israeli military since 1967. Arab Center for Agricultural Development launched Tuesday an olive harvest campaign entitled "Protection for Better Production" in the east of Qarara town in Khan Younis city. The campaign comes within Farmer Rights Empowerment project in partnership with Norwegian People's Aid (NPA) and aims to support and assist olive growers. The center's director Mohsen Abu Ramadan said in a press conference "the campaign carries a national message that Palestinians will continue to stand and fight the Israeli aggressive practices," pointing out that "dozens of volunteers , farmers and NGOs' representatives have participated in the campaign,"
"We'll keep on supporting the olive growers over the harvest season for 2013, our effort to demonstrate the Palestinians ' right to access to their land lots on the border areas, and challenge the [Israeli] occupation policies designed to control over Palestinian land and resources,"
Abu Ramadan praised the Arab Center's partnership with "NPA" which principles go in harmony with the Palestinian constants, adding that the business strategy of NPA is a model for the international organizations active in solidarity work with the Palestinian people. For his part , Ammar Khashan, a representative of an NGO sharing the campaign, said the land on which they are holding the campaign events had been razed in previous years by Israeli army, before being reclaimed and re-cultivated with olive trees, stressing the importance of any effort to confront the occupation policy aimed at Palestinian land. On Monday morning at dawn, Israeli settlers stole ripe olives from Palestinian farms in different areas of the occupied West Bank. Meanwhile, Israeli forces detained a Palestinian citizen at a moveable military checkpoint in Nablus. Witnesses and farm owners told the Al-Quds Network that the settlers stole significant amounts of ripe olives from different farms. They also said that the settlers were hindering the arrival of many farmers who were heading to their farms in order to pick the olives. 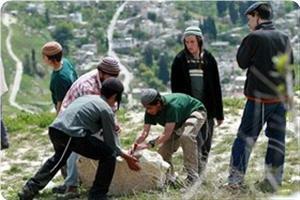 Palestinian sources said that the settlers stole the olives from the neighbourhoods of Fara, Tal-Farata and Amateen. The sources also confirmed that the settlers were preventing farmers from approaching their farms, despite the farmers' cooperation with Israeli officials in this regard. Meanwhile, Israeli military forces invaded the Palestinian city of Nablus and detained Aboud Soboh, a Palestinian from the neighbourhood of Ras Al-Ein. Witnesses reported that after invading the city, Israeli forces set up moveable checkpoints and then arrested Soboh at one of these checkpoints. Two of Soboh's brothers are currently detained in Israeli jails. 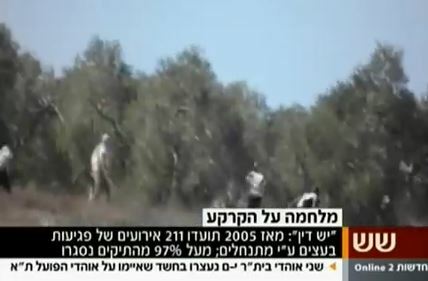 Israeli TV, Channel 2, published a video showing a group of extremist Israeli settlers attacked Palestinian villagers picking olive trees in their own land, near the northern West Bank city of Nablus. 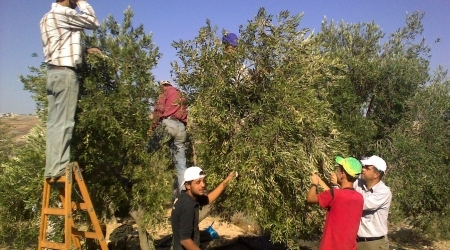 The settlers targeted Palestinians picking olives in their land in Burin village, south of Nablus. The attack took place on Sunday October 20 2013. The video shows masked settlers attacking the farmers, throwing stones at them, and violently beating a Palestinian man. The army was not present in the area, and the Palestinian villagers responded by throwing stones at the Israeli assailants. Extremist Israeli settlers always escalate their attacks against the Palestinians and their lands during the Olive Harvest season. Such attacks includes assaulting the villagers, uprooting and cutting trees, and burning Palestinian orchards and farmlands. In some cases, the settlers picked Palestinian olive trees and stole the produce. The Israeli occupation forces (IOF) prevented on Saturday hundreds of Palestinian citizens from reaching their cultivated lands in Idna town south of Al-Khalil city for the olive harvest. An official from Idna municipal council told Quds Press on Sunday that the IOF had been pursuing an arbitrary policy for years against the Palestinian farmers in the town aimed at isolating them from their lands and source of living. The official affirmed that the Israeli military governor of Al-Khalil area had threatened to punish the farmers in Idna town because of the repeated attacks on the segregation wall. The Idna farmers always suffer from the nightmare of Israeli permits that restrict their access to their olive lands. In another incident, the IOF prevented some Palestinian farmers and herdsmen from getting access to their lands and water wells in Umm Al-Khair village to the east of Yatta town. A few days ago, the IOF also barred electricians working for Idna municipal council from resuming their work and solve the problem of electricity in Soba area, which falls within the Palestinian jurisdiction. The Palestinian Authority will reimburse Palestinian farmers who have suffered financial damages as a result of settler attacks on their fields, a PA official said Saturday. Minister of Agriculture Walid Assaf said in a statement that the PA would form a committee to compensate such farmers in order "to help them remain firm on their lands." The minister's remarks came as two incidents of settler raids were reported in the Nablus district. Israeli settlers chopped down more than 100 olive trees in the northern West Bank village of Qaryut early Saturday, PA official Ghassan Daghlas told Ma'an. Daghlas, who monitors settler activities in the northern West Bank, told Ma'an that settlers from the illegal Israeli settlement of Eli destroyed over 100 trees belonging to village residents Muhammad Ibrahim Muammar, Qasim Abdullah Azzam, Muhammad Jabir Abdullah, Amin Mahmoud Hasan, Muslih Ahmad Badawi, Shaer Ahmad Ibrahim, Ahmad Bakr Ahmad and Abdul-Hamid Azzam. Nablus mayor Jibreel al-Bakri denounced the destruction, and he urged Palestinian farmers to continue harvesting olives even in the face of frequent settler attacks. Also Friday, Israeli settlers appropriated approximately five acres of Palestinian land in the village of Asira al-Qibliya in the Nablus district, the same official said. Daghlas told Ma'an that dozens of Israelis from the illegal settlement of Yitzhar surrounded the land with fences in the al-Bir area near the settlement. The land belongs to village residents Issa Sulaiman Makhlouf and Mohammad Sulaiman Makhlouf, Daghlas said. 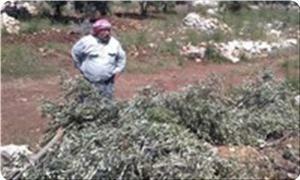 Jewish settlers chopped down more than 50 olive trees in Qaryut village, south of Nablus, at dawn Saturday. Inhabitants said that a number of them rushed to the village’s outskirts when they heard the sound of an electric saw. Inhabitants saw Jewish settlers cutting down the trees and counted around 50 of them. They said that hundreds of fruitful trees were torched in the same area last week. A group of armed extremist Israeli settlers illegally occupied 20 Dunams (4.94 Acres) of Palestinian lands that belong to residents of Aseera Al-Qebliyya village, south of the northern West Bank city of Nablus. Ghassan Daghlas, in charge of Israeli Settlements File at the Palestinian Authority in the northern part of the West Bank, has reported that the settlers fenced the lands and started leveling and bulldozing them. He added that the settlers also installed a number of electric poles. The lands belong to residents Issa Suleiman Makhlouf, and Mohammad Suleiman Makhlouf. On Friday evening, Israeli soldiers kidnapped one resident identified as Mustafa Saleh Qabha, 43, from Toura Al-Gharbiyya village, south of the northern West Bank city of Jenin. His family said that the soldiers invaded their orchard, near the Annexation Wall, as family members were picking their olive trees, and kidnapped him before taking him to an unknown destination. Israeli Occupation Forces (IOF) stormed on Friday night Tora village, south of Jenin, and arrested a Palestinian farmer while tending to his land near the Apartheid Wall. The citizen Mustafa Saleh Qubaha, 43, was arrested for approaching the Apartheid Wall, local sources said. He was then transferred to Salem military base north of Jenin. The sources pointed out that the occupation forces stationed at Tora’s entrance deliberately provoke Palestinian farmers and prevent them from entering their lands especially during olive harvest. Israeli premier Benjamin Netanyahu said the Palestinian resistance activities in the West Bank escalated in recent weeks after some years of clam. In a cabinet meeting, Netanyahu said that the last years were the most peaceful in the West Bank thanks to the Israeli military operations, but the resistance activities which he describes as terrorist saw a surge in recent weeks. Netanyahu made his remarks a few hours after the Israeli army discovered a tunnel extending from Gaza to the occupied Palestinian territories. 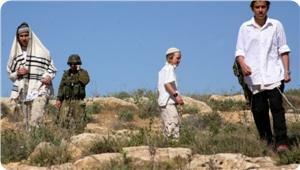 Jewish settlers attacked Palestinian farmers while harvesting their olive crops in Susiya village in Al-Khalil. Nasr Nawaja, an activist in the village, told Quds Press on Saturday that a masked settler led a group of settlers in the attack. He said that the settlers threw stones on the farmers and some of them were injured. 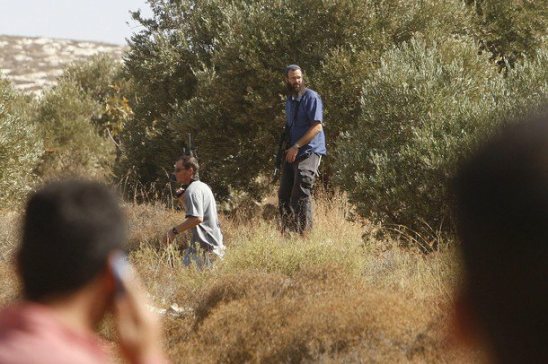 Other groups of settlers had cut off a number of olive trees in Tal Al-Rumaida in Al-Khalil city on Friday in a fresh escalation of attacks by settlers on Palestinian farmers during the olive harvesting season. Youth against settlement took photos of settlers while chopping off those trees and taking them to the nearby settlement outpost Ramat Yishai. In Nablus, settlers torched vast tracts of lands cultivated with olives in Deir Al-Hatab, Salem, and Beit Dajan villages to the east of the city. Local sources said that the fire destroyed dozens of dunums and continued till a late night hour on Thursday. 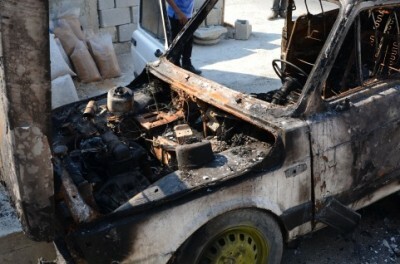 Meanwhile, settlers burned down three cars in Burqa village to the north of Ramallah also on Thursday, locals said. 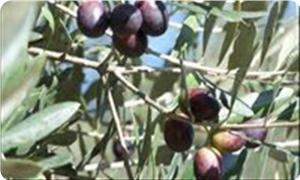 Ministry of Agriculture announced on Thursday the beginning of the olive harvest season for 2013. 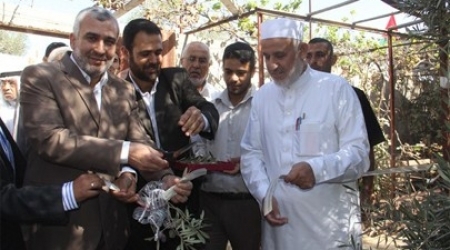 Minister Ali Al-Tarshawi and ministry staff attended the celebration of a new olive harvest season at an olive farm in the south city of the Gaza Strip of Khan Younis. Al-Tarshawi announced tht the Gaza Strip is expected to produce around 10,000 tons of olives this season, an amount far less than the amount produced in 2013. He said the ministry is planning to import olives from the occupied West Bank to meet the full demand of the Gaza Strip. Tarshawi revealed his ministry is working to expand the Gaza Strip's olive harvesting lands in the coming years to reach 36,450 dunums. "The Gaza Strip usually produces huge amounts of olives and citrus products, but because of Israel's aggression against the agricultural areas in Gaza during the Al-Aqsa Intifada, this produce has sharply decreased," he noted. On Friday morning a group of 100 gathered in Beit Jala’s Cremisan valley to pick and sort olives, as Palestinians have done every October for many centuries. Europeans, North Americans, South Americans, and Palestinians gathered to learn about the potential annexation of the land and demonstrate solidarity with Palestinian farmers, who face an uncertain future. This year, the joy of harvest bears a bitter taste for many Beit Jalaians, who fear it could be their last time harvesting olives from the land. 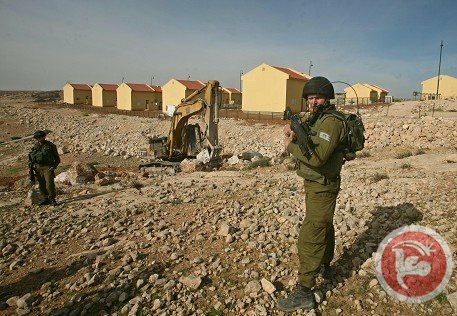 Israel has already annexed 22,000 dunums of Bethlehem and Beit Jala land to build illegal settlements, including Gilo, Har Gilo and Har Homa. Earlier this year, Israel proposed building a wall to separate the illegal settlements from the Cremisan Valley. In September, the EU missions in Jerusalem and Ramallah issued a statement regarding Israel’s annexation plan, saying they are concerned about the proposed construction of an addiional separation barrier, east of the Green Line, in the Cremisan Valley (Beit Jala). If this plan goes into affect, the valley will be enclosed by an apartheid wall on three sides, Beit Jalaians will lose 75% of their land, and 58 families will lose access to the farmland they depend on. Aditionally the barrier would separate children from their school at the Salesian convent and negatively affect the Cremisan Monastery, the primary place of worship for many locals. Israel’s pretext for annexing the Cremisan Valley land is the ‘security’ of Israeli settlers, who live in settlements considered illegal according to international law under the Geneva Convention. After local famers and politicians spoke about the potential annexation of the land, a group of Palestinians broke 2 meter barbed-wire barrier, previously prohibiting Beit Jalaians from accessing their lands. One woman told PNN, "My family has 7 unums of land just past the barrier, but we cant get to it to pick the olives." Children as young as a year sorted olives into buckets, beside grandmothers, who sat in the shade of trees, palms full of green and purple olives. Adolescents climbed ladders into tree crowns and younger children distributed water, coffee, falafel, and bread to the workers. 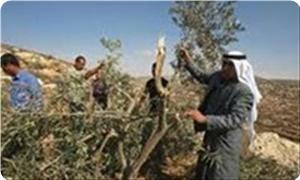 Farmers in villages east of Nablus complained of the escalation of settlers' provocative actions over recent days that precede the season of olive harvest, especially in the vicinity of the settlements of Itamar and Elon Moreh, set up on the villages' lands. Mohammed Omran, a farmer from the town of Deir al-Hatab, reported that elements of security patrol from the Elon Moreh settlement have been deployed in their lands, and are preventing the farmers from entering them unless they obtain a prior coordination with the Israeli Civil Administration. 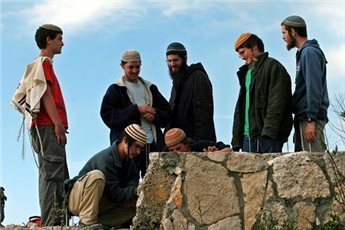 The Municipality of Beit Fourik village denounced the Itamar settlers' attack on the farmers and shepherds in the vicinity of the settlement and the detention of four young men by the end of last week. The residents of Beit Fourik village also revealed the existence of electronic monitoring devices placed inside the settlement of Itamar to monitor from a distance the movements of the villagers, and to give signals to the Israeli security patrols to chase the farmers. Jewish extremists vandalized three cars and the outside of a mosque in the West Bank village of Burka, outside of Ramallah, early Thursday morning. Israeli newspaper Jerusalem Post reported that the IOF is assuming the vandalism was a "price tag" attack following the destruction of the Ge'olate Zion outpost on Wednesday morning, as well as the Palestinian murder of Israeli soldier Tomer Hazan last month. "Ge'olat Zion loves Tomer Hazan" was sprayed on the mosque’s exterior. Less than 24 hours earlier, on Wednesday, four Israelis were arrested for attacking the Palestinian village Jalud. JPost quoted Rabbis for Human Rights field worker Zakariya Saddeh saying that around 30 masked Israelis came to Jalud and proceeded to burn an olive grove, destroying some 400 trees. The group also threw stones at an elementary school and vandalized five cars belonging to teachers parked at the school. The report said that seven vehicles were damaged and the school's windows had been broken. Rabbis for Human Rights sent a letter to the IOF demanding that it prioritize the protection of Palestinian property, Saddeh said, adding that he blames the IOF for the attack on the village. Landowners from Zaatara village east of Bethlehem entered their lands in Jab al-Theeb area for the first time in 13 years after it was closed by the Israeli army, a human rights organization said. Yesh Din lawyer Mohammad Shqeir told Ma’an that the Israeli civil administration declared last week that landowners could enter into the 10 dunams of their 500-dunam lands that are planted with olive trees. However, farmers and volunteers managed to enter into all the land and plant seeds there, Shqeir said. The land was fenced off by settlers but Yesh Din made an appeal to Israeli authorities in 2009 to remove the fence and allow its owners in, Shqeir added. Dozens of settlers set fire to agricultural land in Nablus on Wednesday and attacked students at a local school, a Palestinian Authority official said. Ghassan Daghlas, who monitors settlement activity in the northern West Bank, told Ma'an that settlers from Shilo set fire to agricultural land in an area known as Mount Jalud. Dozens of settlers then raided a school in the nearby village of Qaryut and vandalized five cars. The group also set fire to land in the village, destroying dozens of olive trees. Palestinian Authority firetrucks arrived at the scene and extinguished the blaze. Settlers tried to enter the village but were confronted by local residents, Daghlas added. An Israeli security official said the military received a complaint that a school, seven vehicles and an orchard were damaged in an attack. In response, the official said, four suspects were arrested. Lt.-Col. Peter Lerner added that the "the IDF frowns upon such grave actions, which destabilize the region and deviate security forces' attention from their main mission - combating terror." The Nablus region of the West Bank experiences a particularly high rate of settler attacks, with settlements built illegally next to Palestinian communities. Settler attacks on Palestinians in the occupied West Bank are systematic and rarely prosecuted by Israeli authorities. A group of extremist Israeli settlers burnt two Palestinian cars, and attacked a mosque in Beit Iksa village, northwest of occupied Jerusalem, and wrote racist anti-Islamic graffiti. Settlers also cut olive trees west of the central West Bank city of Ramallah. Local sources in Beit Iksa said that the settlers invaded the village during early dawn hours, and burnt two cars. Resident Mohammad Gheith told the Palestinian News & Info Agency (WAFA) stated that the settlers came from Ramot illegal settlement. He added that the settlers wrote graffiti insulting Islam and the Muslim Prophet, Mohammad, in addition to writing other racist Price Tag graffiti on the front exterior wall of the local mosque. The settlers tried to smash the mosque’s main door, but a number of residents were inside, noticed them, and chased them away. In related news, a number of extremist settlers cut several olive trees in Ras Karkar village, west of Ramallah. Resident Azmi Samhan, said that the settlers cut several trees than belong to his brother, Maher, in Nabi Aneer area. Palestinian lands and orchards in the area are subject to frequent attacks carried out by extremist Israeli settler groups. Such attacks escalate every year during the Olive harvest season. Last year, Israeli extremists attacked dozens of villagers in their orchards, violently beat and struck them with batons, and stole harvested olives. They also had dogs that mauled some villagers causing various injuries. Settlers also harvested Palestinian orchards and stole the produce, they also cut hundreds of trees in different parts of the occupied West Bank. Jewish extremist settlers have attacked, this morning, fruitful olive trees near Ras Karkar village west of Ramallah in occupied West Bank. The head of the village council, Bahgat Samhan, said that nine Israeli settlers attacked in the early hours of Monday morning olive groves north of the village where they cut down several olive trees. Nine olive trees were damaged during the attack, head of the village council said, pointing out that farmers who came to reap the fruits of olive trees, prevented them from completing their attack. Samhan pointed that Israeli settlers escalate their attacks against olive trees in Ras Karkar village during the olive harvest in order to force the farmers to leave their lands in favor of settlement expansion. Meanwhile, dozens of Israeli settlers attacked yesterday night Tawani village east of Yatta under the protection of Israeli soldiers. Local sources said that armed Israeli settlers attacked Palestinian houses and properties at late hours of Sunday night, while the Israeli soldiers carried out searches of Palestinian houses and sheds. 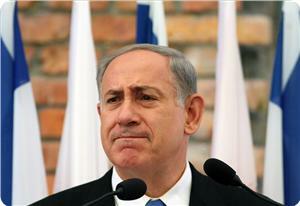 He added that the Israeli soldiers fired tear gas, sound bombs and light flares during the attack. They also used police dogs to terrorize the residents. In a related matter, a Palestinian organization launched a campaign to help Palestinian farmers in harvesting their olives, in light the escalated settlers' attacks against their lands. 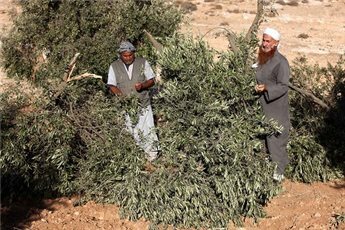 Palestinian Agricultural Relief Committees declared the launch of a new campaign to help Palestinian farmers to reap the fruits of the olive trees especially in areas subjected to frequent settlers' attacks. Thousands of volunteers from West Bank, Gaza, and occupied territories in 1948 in addition to hundreds of foreign activists will participate in the campaign. 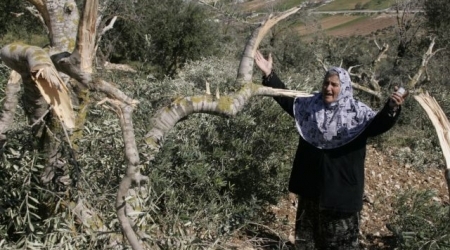 Bahjat Samhan, head of the Ras Karkar village council, said that a group of settlers uprooted around 13 olive trees near the village that is located to the northwest of Ramallah. Samhan told PNN reporter that trees, which were uprooted, belonged to the Palestinian resident Maher Taha Samhan. 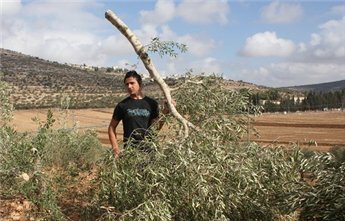 Israeli settlers Saturday cut more than 100 olive trees in the Nablus area village of Deir Sharaf, according to a local activist. Ghassan Daghlas, who monitors settlement activities in the north of the West Bank, told WAFA that settlers from Shavi Shomron entered the Palestinian land and cut the olive trees as the olive picking season was starting. 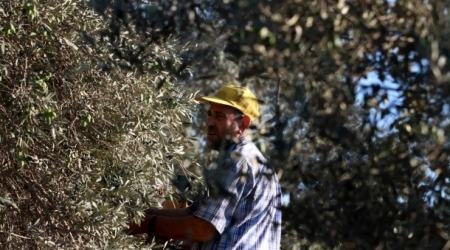 Entire Palestinian villages make their annual living from olive picking. Extremist Jewish settlers chopped down more than 100 olive trees Saturday morning in Deir Sharaf village south of Nablus, a Palestinian official said. 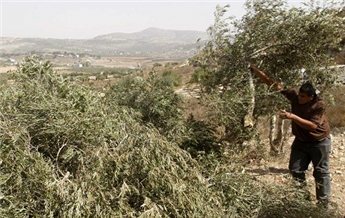 Ghassan Daghlas, who monitors settler activities in the northern West Bank, told Ma’an that settlers from Shave Shomron settlement stormed olive fields in the al-Ghazan neighborhood of Deir Sharaf and destroyed more than 100 trees. He highlighted that the attack came a few days before the olive harvest. The trees belong to Yasser Fuqaha, Sidqi Fuqaha, Mustafa Fuqaha and other farmers from the Meri family. On Friday, a mob of settlers assaulted Palestinian farmer Abdul-Rahman Ibrahim Awad while he was picking olives in his field in Jammain village south of Nablus. He was forced to leave the field at gunpoint after the assailants completely destroyed his private vehicle. The Israeli settlers' attacks have escalated recently in West Bank cities, where they uprooted on Thursday 40 olive seedlings in Yatta, south of al-Khalil. Dozens of settlers stormed Khella Gazioa area in Yatta town and uprooted 40 olive seedlings under the protection of Israeli forces, the activist Ratib Jabour said. Jabour added that the Israeli forces prevented the Palestinian farmers from having access to their lands while protecting the settlers in attacking Palestinians and their properties. In similar attack, Israeli settlers have severely beaten a Palestinian farmer up and stole his olive fruits in Zawiya town in Salfit, while he was with his wife picking olives on his land. They also forced his family to leave the land before steeling his olive harvest. Palestinian farmers in West Bank districts have complained of the escalated settlers attacks that precede the olive harvest season. In Nablus, Palestinian farmers are subjected to settlers' attacks on daily basis especially near Itamar and Elon Moreh settlement built on Palestinian lands. Local sources in Deir al-Hatab said that the Israeli soldiers prevented Palestinian farmers from reaching their lands without coordination with the Israeli Civil Administration. Meanwhile, Israeli settlers from Itamar settlement have attacked farmers in Furik municipality where 4 Palestinians were arrested. Settler attacks usually witness a sharp escalation during the Olive harvest season, and include the uprooting of Palestinian trees, in addition to attacks the residents, and international supporters, while picking their olive trees. A group of Israeli settlers destroyed over 50 olive trees in the south Hebron hills on Thursday, locals said. Palestinian farmer Jaber Ali Shatat told Ma'an that settlers from Susiya raided agricultural land next to the illegal settlement and damaged 50 trees. Settlers deliberately target olive trees during the harvesting season, Shatat added. Settlers routinely attack Palestinians and their property in the occupied West Bank with impunity. Annual figures compiled by Israeli rights group Yesh Din have repeatedly shown that nine out of 10 police investigations about settler crimes fail to lead to a prosecution. Israeli forces on Sunday blocked the entrances to Yabad, a Palestinian village in the northern West Bank district of Jenin, and set up military checkpoints, locals said. 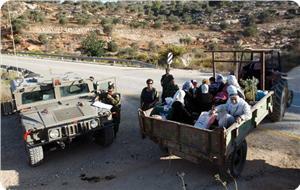 Israeli forces raided the village early Sunday from 5 a.m. to 6.30 a.m. and fired multiple sounds bombs. They subsequently razed olive orchards around the village. Israeli forces prevented Palestinians from entering or leaving the village, and seized several vehicles that attempted to leave or enter the village through alternative means, witnesses said. 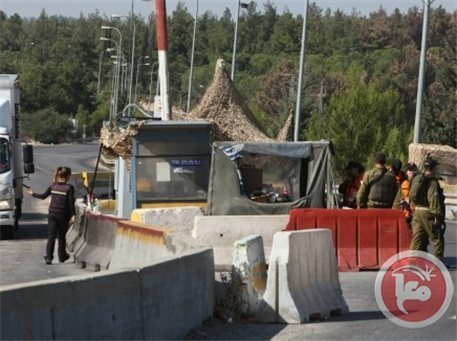 Eyewitnesses told Ma'an that Israeli forces blocked the eastern entrance of Yabad and set up a military checkpoint, leaving no way in or out. The western entrance to the village has been closed since August. Locals noted that Israeli forces seized vehicles of individuals that had tried to pass on alternative roads through Wad Hassan near the village, and interrogated a number of them. Israeli soldiers claimed that a number of Palestinian youths threw stones along the main road adjacent to the village targeting the neighboring Israeli settlement of Mevo Dotan. Palestinian farmers and owners of the coal workshops who live near the main road confirmed that the situation had been calm Saturday night and until early on Sunday morning, and that they had not seen any people throwing stones at the time. Locals also suggested that Israeli forces had fabricated the story of stone-throwers as a pretext to fully close the village. “The coming season's production will see a deficit by 60 %, which is bigger than the 2012 season's,” he said. He predicted that “the Gaza Strip would achieve self-sufficiency in olive oil over the next few years, especially since large land areas with growing trees have not yet to be productive." 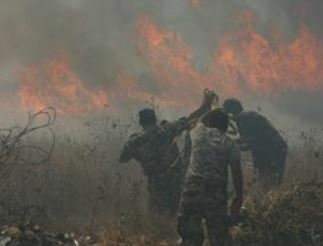 Local sources reported Monday [September 23 2013] that a group of extremist Israeli settlers set ablaze more than 350 Palestinian olive trees that belong to villagers of Sorra and Tal villages, west of the northern West Bank city of Nablus. Settlers also harvested Palestinian orchards near Jenin. Ghassan Daghlas, in charge of Israeli Settlements File at the Palestinian Authority in the northern part of the West Bank, told the Palestinian News & Info Agency (WAFA), that a number of settlers of the Hafad Gilad illegal outpost, invaded the orchards located in the western valley, and burnt the trees. Daghlas added that the fire consumed nearly 350 olive trees, and that the attack just comes a few days before the beginning of the Olive harvest season. More than 200 of the burnt trees belong to Suleiman Abdul-Aziz Hamad, 100 to resident Omar Mustafa Samara, and 50 to Mohammad Fares. 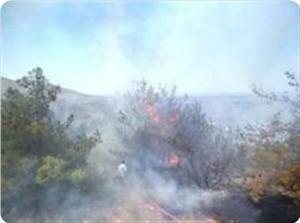 Daghlas further stated that the settlers also burnt Palestinian farmlands that belong to several residents in the area. The official denounced the attack, and stated that extremist settlers always escalate their attacks against Palestinian orchards and villagers before and during the olive harvest season, and added that the settlers frequently harvest Palestinian orchards and steal the produce. Also on Monday, settlers of three illegal Israeli settlement outposts, east of the northern West Bank city of Jenin, harvested Palestinian orchards, isolated behind the Annexation Wall, and stole the produce. The Palestinian News and Info Agency (WAFA) stated that the settlers attacked 12 Dunams (2.96 Acres) planted with Olive trees, and completely harvested them. Extremists further attacked a Palestinian orchard, south of the northern West Bank city of Nablus, and uprooted its trees. In related news, a number of extremist settlers attacked a Palestinian child in Tal Romedia neighborhood, in the center of the southern West bank city of Hebron. Medical sources said that Israeli army medics provide first aid to the child, Awni Abu Shamsiyya, 13, before he was handed to a Red Crescent Ambulance that took him to the Hebron Governmental Hospital. The child was bleeding from several parts of his body, including his face and head, the sources added. Dozens of settlers stormed on Tuesday morning the citizens' lands isolated behind the Apartheid Wall in the village of Jalboun east of Jenin, and started uprooting the olive trees. Local sources told PIC's correspondent that more than 80% of the village lands are located behind the Apartheid Wall and that the citizens cannot enter these lands except for limited periods during the olive harvest season. They added that this year the settlers stormed the Palestinian lands where they reaped the olives and then vandalized the trees. There are three Israeli settlements built on Palestinian lands in the village of Jalboun. The settlers are planning to grab the village lands, located behind the wall, in order to extend their settlements. Jewish settlers stole olive crops of Palestinian farmers in Jalbon village, east of Jenin, on Monday two weeks before its harvesting season. Local sources said that the settlers came from three settlements built on Jalbon village land and started to harvest the olives in the land that was isolated from the village by the racist, separation wall. The sources pointed out that the harvesting season starts in two weeks’ time, adding that the settlers wanted to impose a fait accompli in order to control the land. Hasan Abulrub, from Jalbon village, told the PIC reporter that he saw the settlers harvesting the olives but the villagers could not do anything because of the separation wall. Marj Bin Amer municipality, to which the village is affiliated, denounced the act in a statement on Monday. 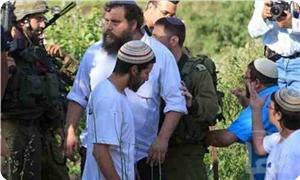 It said that a group of settlers harvested all the olives in the fields of two brothers in Jalbon village. Farmers in Salfit province have asked for protection in face of the usual Jewish settlers’ attacks on them during the olive harvesting season. The farmers issued a press release on Sunday saying that they come under settlers’ attack every season, recalling that their joy over the harvesting of their olive crops turn into fear and anxiety of such attacks. They pointed out that farmers, who have land beyond the separation wall, are not allowed to prepare for the season by the Israeli occupation authorities except for a few and limited periods of time which cause big damage to their crops. The farmers said that lands near settlements are particularly prone to settlers’ attacks who do not differentiate in their attacks and carry them out against men and women alike. They added that on some occasions the harvesting becomes impossible. Israeli settlers from the illegal settlement of Maon Sunday attacked Palestinians, severally beat up a 50-year-old man as well as uprooted trees in an area east of the town of Yatta, south of Hebron, according to a local activist. The Popular Committee Coordinator in Yatta, Rateb al-Jabour, told WAFA settlers from Maon settlement, built illegally on Yatta land, attacked and used foul language against the residents. Settlers severally beat up a 50-year-old man, causing him several bruises throughout his body as well as uprooted around 10 fully grown and years old trees belonging to one of the residents. Israeli settlers from Elon Moreh accompanied by bulldozes razed Palestinian land east of Salim village in Nablus district on Thursday, leading to clashes, officials said. Ghassan Daughlas, who monitors settlement activities in the northern West Bank, said two Palestinians were hurt during the clashes. 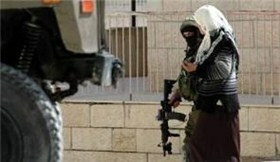 Israeli forces detained seven others. Daughlas added that settlers as well as Israeli forces opened fire into the air. Antar Hamdan and Basman Sidqi Shehada were wounded. and Basman Sidqi Shehada was detained. Israeli forces also detained Arssan Abed al-Rahman Eshtaya, Jihad Ahmad Mnawer, Mohammad Anwar Abed al-Hadi, Abed al-Hadi Anwar Abed al-Hadi, Adnan Sidqi Shehada, and Yousef Mohammad Dieb. 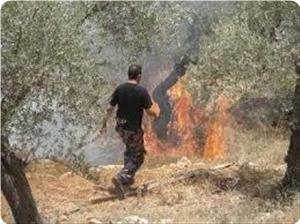 Daughlas highlighted that the settlers torched Palestinian lands and olive trees. Jewish settlers started a huge fire in lands of Deir Hatab village, Nablus province, on Wednesday morning that destroyed hundreds of trees. Abdulkarim Suleiman, the village’s municipality chairman, said that the settlers started fire in dozens of dunums, adding that the fire was still raging in the land to which Palestinians are banned from entering without prior coordination. He charged the Israeli occupation forces with blocking arrival of Palestinian fire brigades to the scene to extinguish the blaze that destroyed hundreds of trees. Suleiman said that the land is 1500 meters away from the village, adding that it was not the first time that settlers started fire in it. 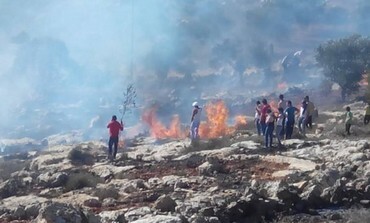 Israeli settlers Wednesday set fire to Palestinian agricultural land in the village of Deir al-Hatab, east of Nablus, according to a local activist. Ghassan Daghlas, who monitors settlement activities in the north of the West Bank, told WAFA that a group of settlers set fire to agricultural land planted with olive and almond trees located near the Israeli settlement of Elon Moreh. He said that part of that land is located in a mountainous area and the other part is planted with olive and almond trees. Israeli soldiers kidnapped, on Sunday evening [September 8, 2013] a young Palestinian woman in Hebron, in the southern part of the occupied West Bank. Local sources said that the young woman has been identified as Ayaat Mahfouth, 20, and that she is was previously kidnapped and imprisoned twice, and was released from an Israeli detention facility a month ago. The soldiers claimed that she carried a knife, and attempted to stab a soldier. Also in Hebron, a number of extremist Israeli settlers uprooted more than 40 Palestinian olive trees in Khirbit Homra village, east of Yatta. Several extremist settlers also prevented farmers from reaching their lands in a number of areas south of Hebron, and hurled stones at Palestinian cars causing damage. Israeli occupation forces (IOF) burned down a number of olive trees, some of which are one thousand years old, and broke the gate of a monastery south of Bethlehem on Saturday evening. 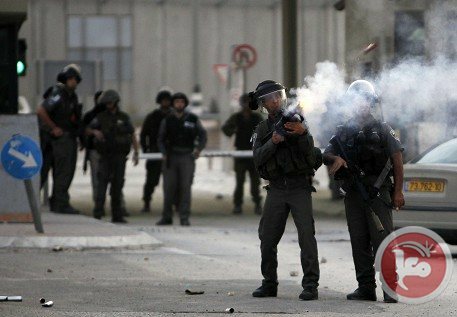 Ahmed Salah, the coordinator of anti-wall and settlement committees in Al-Khader village, said that IOF soldiers fired teargas and stun grenades at areas belonging to the Mar Jeriess monastery in the Old City of Al-Khader. The resultant fire burned down ancient olive trees, Salah said, adding that the soldiers attacked the monastery and destroyed its main gate. He said that the soldiers warned against rebuilding the gate.